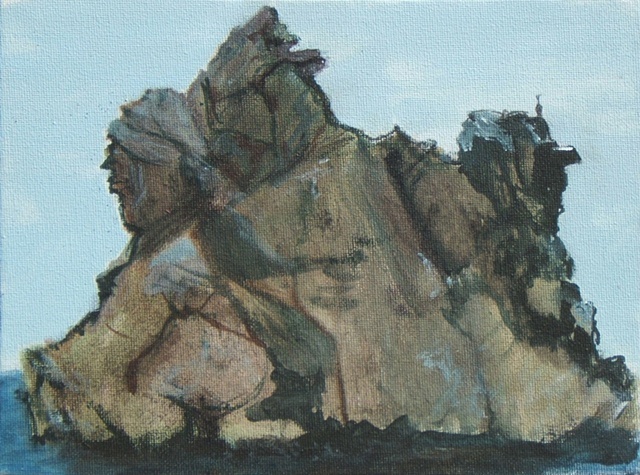 I sat on the beach while the tide was out, and painted this rock in the Pacific Ocean's bay. I felt such a sadness in the area. The longer I looked at the rock formation, the more I saw. I felt like I saw Bodega Bay's sad spirit. Later while in San Francisco, I was told numerous Indigenous people were killed by settlers in the region.